As a company involved in septic system installation and maintenance since 1947, it only makes sense that we’d know how to play matchmaker between the site and the system. That’s why we have licensed onsite soil evaluators on staff that are knowledgeable, experienced and focused on helping you select the most appropriate septic system for your project. If you are looking to purchase a property, build a house, renovate a home, or build an addition, it’s best to call us first for a free phone consultation. We might save you some time and money in the long run. A good site evaluation begins with a review of all relevant records, such as soil surveys, plats, maps and building plans. Once on site, our Alternative Onsite Soil Evaluator (AOSE), licensed by the Department of Professions and Occupational Regulations (DPOR), will meet with you to walk-over the property and discuss plans and usage. Then, the AOSE will get to work drilling holes with a hand auger across select landforms on the property. Soil profile holes allow the AOSE to observe the visible characteristics of the soil, such as texture, color and consistency. Limitations within the soil are identified and percolation rates are estimated. The type of septic system chosen is based on the limitations on the property and within the soil. The size of the system is based on the percolation rate of the soil and the estimated or proposed water usage. Usable drainfield area determines the viability of any type of septic system. It is extremely important to engage the services of AOSE prior to any site development. Quite often the only usable drainfield area is cleared, built on, or outright destroyed prior to our work. When this happens, viable treatment options diminish greatly. 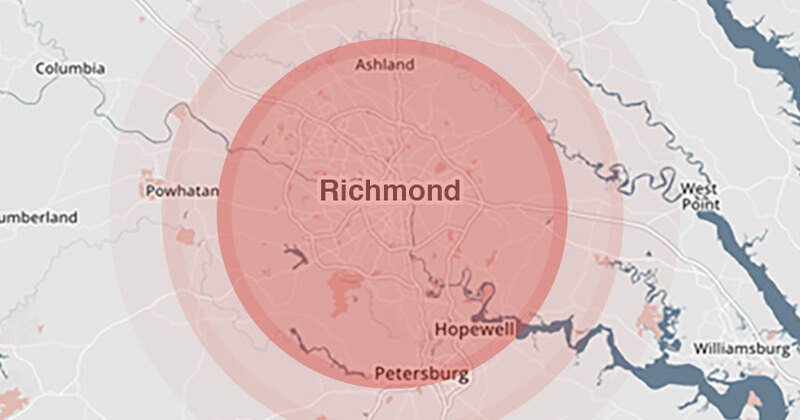 Once the site evaluation is complete, the AOSE is able to match the site limitations and the needs of the Client to the many treatment and disposal options available in the Commonwealth of Virginia. All designs must comply with the regulatory requirements set forth by the law, regulation and ordinance. The Virginia Department of Health is the regulatory authority for septic systems. Currently, we follow the Sewage Handling and Disposal Regulations, the Private Well Regulations, the Alternative Onsite Sewage Regulations, and many other regulations and policies promulgated by the VDH. During the design process, our company provides a Conceptual Plan for the Client to review and approve prior to the preparation of the final design. This gives our Clients the opportunity to ask questions about cost, functionality, aesthetics and maintenance. All of these factors are considered in the final design. Once the Conceptual Plan is approved, the final design package is completed. This package is formatted for permitting at the local health department. Once the design package is approved and permitted, the design is ready to be installed. Be sure to partner with a designer who is willing to work within your budget. It is common for designers to “over engineer” a system, opting to exceed environmental and regulatory standards as a form of professional insurance rather than pay the necessary attention to the budgetary constraints of the Client. If you are looking for a local, trusted septic company who knows how to design for your requirements, contact us. To learn more about our septic tank services in the Richmond area, please call us at 804.232.6774, Monday-Friday, 8am to 4:30pm. For after-hours Emergency Services, please call 804.641.5942.